Preventive maintenance is always recommended for a vehicle. 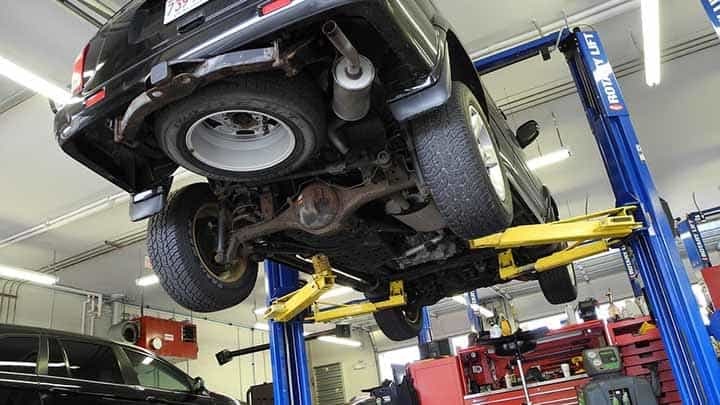 It can help a car owner avoid being surprised by mechanical problems which cost hundreds of dollars or even thousands of dollars to repair. It will also prevent you from breaking down on the road and having to wait for a tow truck to come to rescue you. So, what exactly is a tune-up? You’ve probably heard this term used frequently but what does it really mean? A tune-up refers to the complete maintenance of your vehicle and all its components. First, an auto expert will examine the most sensitive components of your vehicle, such as the wires, spark plugs, fuel filter, air filter, engine parts, tires, and shafts. If any component is found to be in rough shape, they will replace that part before it gets any worse. Most importantly, the mechanic will run a computer diagnostic check through your engine control unit. This will tell the mechanic how healthy your vehicle’s systems are, such as the brake system, steering system, fuel system, etc. If a problem is found, their diagnostic scanning tool will receive a trouble code which refers to a specific problem. From there, the mechanic will investigate that problem and fix it for you. For these reasons, tune-ups are preventive maintenance practices to ensure your vehicle stays functional for as long as possible. You’d be surprised to learn that most car owners don’t even bother getting tune-ups until they have no choice. Don’t wait until your vehicle is unable to drive or startup. Pay attention to the signs of problems as they occur. Once you notice these signs, let them be an indicator that you need to take your vehicle to a mechanic for a tune-up at once. Below are the top 10 signs that your car needs a tune-up. 1) Battery Warning Light – The battery warning light illuminates when you have low battery power or some other problem with your battery. It is recommended that you replace your battery every 2 to 4 years. If you see this light come on, then don’t take any chances. Get a new battery as well as a maintenance check on other components too. 2) Oil Warning Light – The oil warning light indicates that you have a problem with the oil in your engine. This could mean you have low oil, bad oil, or dirty oil. Whatever the case may be, check to make sure there are no leaks. Once you’ve verified this, change the oil immediately with new oil. 3) Poor Fuel Economy – If you’re making more frequent stops at the gas station because your gas mileage is worse, then you definitely need a tune-up. This problem could be attributed to several different things, such as uneven tire pressure, bad brake pad, flat tire treads, and more. A maintenance check will tell you which areas of your car need work. Then you can reverse your poor fuel economy. 4) Difficulty Starting Engine – Do you have trouble starting your engine? If so, there is definitely something wrong somewhere in your vehicle. Your engine should never be sluggish or give you problems like this. The reason could be due to a bad spark plug, starter motor, battery, etc. 5) Squeaky Brakes – Don’t take your brakes for granted because they have components which can cause your brakes to give your problems. For instance, if you experience squeaky brakes then you might have low brake fluid, bad brake pads, or bad brake discs. You will want to get your brakes checked whenever you hear squeaking noises. 6) Difficulty Shifting – Shifting should never be an issue when you change gears. It should be a smooth and easy experience to switch gears. But if you have difficulty shifting, then you may need to change your transmission fluid, screens, and/or filters. Do not overlook the transmission in your maintenance checks because they are responsible for all the shifting actions of the vehicle. 7) Weak Engine Power – If you step on the gas pedal and the vehicle does not accelerate fast enough, there could be a whole list of problems. You may have engine problems, battery problems, alternator problems, and so much more. Have the mechanic run a diagnostic to determine why your engine has trouble generating more power. 8) Strange Vibrations – If you experience vibrations in the cabin of your vehicle, do not panic just yet. Usually, the vibrations are caused by tire issues, such as flat tire treads, unbalanced tires, worn tires, and low-pressure tires. Sometimes a universal joint may be damaged too. Replacing the necessary components will stop the vibrations. 9) Burning Odor – A distinct burning odor in your vehicle’s cabin could indicate that oil is burning, or your engine is overheating. Perhaps there is an oil leak somewhere which is causing this to happen. To verify whether it is an oil leak or some other problem with the oil, use the oil stick to test the oil. If you notice the oil is discolored or not filled up enough, then you need to fix any leaky areas and replace the oil. 10) Engine Stalling – You could be driving along on the road or even stopped at a stop sign and just suddenly have your engine stall. Clogged fuel filters and bad spark plugs are the common reasons for this. These are such simple components to replace too, so don’t neglect to do this every so often.